This evening at 9, "Piers Morgan Live" invites CNN's "The Lead" anchor, Jake Tapper, and The Boston Globe's Juliet Kayyem to the program. 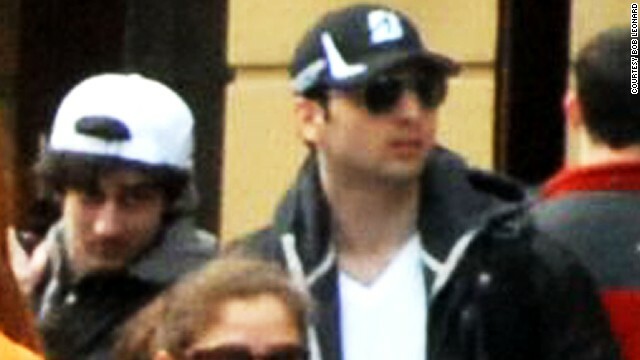 Tapper and Kayyem will discuss with Piers Morgan new updates and revelations regarding suspected bombers Tamerlan and Dzhokhar Tsarnaev including reports that the FBI has been in contact with and has interviewed "Misha," an individual associated with the Tsarnaevs and suspected of "radicalizing" the elder brother, Tamerlan. Also this evening, attorneys Tom Mesereau and Gloria Allred join the program for a new segment, "Law & Disorder" to discuss the latest legal and criminal cases on the minds of Americans today. And Ben Ferguson sits down with Morgan for "The Grill" where the conservative radio talk show host will go one-on-one with the "Piers Morgan Live" host and debate the hot topic news of the day. Topics most likely to be touched upon include gun control and immigration reform. Tune in this evening as Morgan and his guests participate in what will be a very engaging program of in-depth discussion and lively debate. Alot has transpired over the last two weeks in the Boston marathon Bombing. We know theFBI has been checking on the trrorist suspects, the home land security, and the alert from the Russian government,( and its in their best interest to work side by side in the share on information between our two governments), but we know their still his a proven fact that the special departments still dont work in unison to help and share information collected to persue persons of interest in the fight against terrorism. That we know and there is know denying that. get smart, get with the program and build a universal information network and be mature. We are paying attention and in the years coming elections the American people will voice their concerns and vote to make sure the Hill is listening and future appointees to the special department will be corrected, Thats you and I's personal responcibility to our childrens future safety to have a life we have enjoyed. "Surely most of what the FBI learned or didn't learn by interviewing the 19yr old, will never be allowed to enter the case once the trial starts. Will it be a Jury Trial?? I should imagine so, and whatever the FBI learned, can only be allowed without the Jury in court!" Hey Griff.. this 19 year old kid doesn't deserve a trial! He gave up his rights the day of the bombings. Get a rope! "No rights, means no trial. Why not just crucify the kid!!" He's an odd fish,my chickadee,just paraphrases,and doesn't respond to my replies(like you). "You heard what Putin said last week. Now he wants the USA to help them, in other words Russia gives some peanuts but want Coconuts in return!" Rights? America has become soft! Gloria Allred and others defending this Terrorist kid who helped commit the bombings of Innocents is shameful. What about the rights of the 3 deceased innocents who lost their lives and what about the rights of the victims who lost limbs that will never grow back. This kid gave up his rights when he chose to follow through on this coward act! He does not deserve a trial. Oh No, Obama and his blind Democrat followers want him to be tried. Obama is such a hypocrite telling us these terrorists will be brought to justice and then we spend millions on a circus trial to defend this moronic kid who caused all this destruction and pain. As am American, I'm ashamed of some of our leaders and behavior. Piers Morgan is a British Pr_ck! How did this loser ever get his own show?! He comes over from Britain and stirs up trouble in our country, which he knows nothing about! Hey Piers... "Bite Me"
awe! thats not nice, we love piers on his site. Dont be that guy, Mr. party pooper! CNN is full of BS...They carefully pick their journalists to use words that will brainwash the already brainwashed Americans.. All of a sudden they are bum chums with Putin. Piers has been in America too long and is also deluded. This is another excuse to attack the people and countries they want. There is no footage, nothing for the public to see but their words.. Same old hidden agendas for the Americans...Piers is a lost case! SHW, we must have caught you on a bad day. Dont fret, Tommorrow is going to be special!! Super duper! Broken English,no "an" or hyphen in part of your 'statement' comprising just 10 letters. Stupidity has 9 & your name on it.